I live in Scotland and for much of the year we get middle of the road weather. I mean gray clouds, rain and a fair bit of wind. ‘Dreich’ is our word for it and a better description I cannot think. But for the last eleven days it has been snowing. Eleven days where every morning I have got up looked out the window and thought ‘not again. You see when I say I live in Scotland, I’m not talking about the Highlands. No, no. I live just outside of Edinburgh and we are well and truly lowland folk. We feel the cold and generally turn blue at the slightest hint of chilly conditions. (The exception being when drink has been partaken, which can falsely imbue us with the spirit of our forefathers, who thought nothing of painting their faces and charging around half naked smiting foes and shouting a lot). 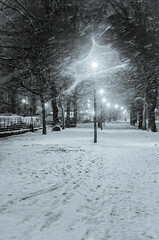 We don’t like the cold very much and put up with it when its meant to be cold, but this is March, Easter is just days away and this time last year I was wearing a t-shirt and jeans and mopping my brow with a rather large handkerchief. But I have a different theory. I think that we have become tangled up with an alternative reality somehow, perhaps we stumbled collectively through a large wardrobe or something, because this sure seems like Narnia to me, the first Narnia complete with Snow Queen, eternal winter and a lack of anything much to look forward to on the horizon. Or so it seems depressing until you remember how funny Mr Tumnus was and just how hot the Snow Queen was too. 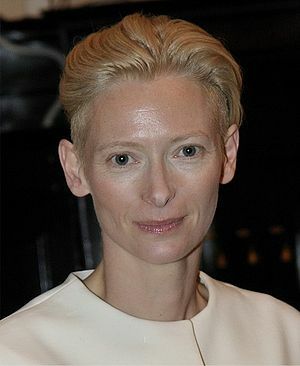 Tilda Swinton played her in one of the movies and good lord, she is Scottish! See? It all fits. So what I need to do is find Tilda Swinton and convince her to lift the spell, then the snow will melt and Spring will come to Narnia, erm Scotland, right?